Mold cleaners and conditioners to allow thermosets and thermoplastics to easily come out of the mold after molding. Whether you use conventional molding or auto molding, manufacturers of semiconductor devices need to perform mold maintenance of their molds after using epoxy molding compounds. CAPLINQ offers the full range of semiconductor mold maintenance products to help manufacturers get their molds clean, keep them cleaning and then get that back into operation as quickly as possible. Whether you are looking for aerosol carnauba wax spray, rubber cleaning, waxing or conditioning sheets, melamine cleaning pellets or melamine compression products, CAPLINQ has a proven range of products for your specific application. Please continue to our Learn More section to learn more about the trends in cleaning and conditioning products used to keep your semiconductor molds humming including the differences between the various types available and the environmental considerations and choices that semiconductor epoxy mold compound users have. What works better to clean, melamine or rubber? In our experience, melamine is a much more efficient cleaner. Efficient means that you have fewer cleaning shots to get the mold clean and the molds end up cleaner than using rubber cleaning sheets alone? Why are melamine cleaners less popular today than rubber cleaning sheets? In a word: Formaldehyde. Formaldehyde is the active cleaning agent in the melamine cleaning compounds and since January 1st of 2016, formaldehyde has been reclassified as a Carcinogen Category 1B. CAPLINQ is actively developing melamine product alternatives. Epoxy molding compound (EMC) used in the semiconductor and LED encapsulation process leaves a build-up of stains and residues inside and on the surface of mold die after each run. If left unchecked, along with the build-up of mold release agent, this can eventually lead to increased molding defects, longer downtime, lower production yield, and a shorter overall service life of your transfer and compression molding equipment. All of which means that after a certain number of shots you will have to have some down time to stop production to clean your mold. Some pieces of Plant Production Equipment are beautiful engineering masterpieces, almost works of art. While employees will come and go, these faithful metal beasts remain ever loyal: continuing to work for decades, even centuries. So though semiconductor molding equipment costs a fortune, and it ’s important to get the biggest return on your investment that you can, it’s also important to treat them with the dignity and respect that they deserve. Preventative maintenance for semiconductor and LED molding and encapsulation equipment begins and ends with regular mold cleaning and mold surface conditioning. With our expertise as a supplier and manufacturer of Epoxy molding compounds, CAPLINQ has built up years of experience working with the chemistry behind EMC mold stains and residues. So now, to compliment our range of epoxy molding compounds, CAPLINQ introduces CHEMLINQ: our range of mold cleaning sheets and compounds, surface sealers and conditioners, and mold release sprays. The CHEMLINQ product family works as a series of standalone products or holistically as a total package to help you care for and maintain your precious molding equipment. The number of shots between cleans, and so the length of a production cycle, can be extended using a mold conditioner after a mold cleaning sheet and extended even further when this is used in conjunction with mold release spray. 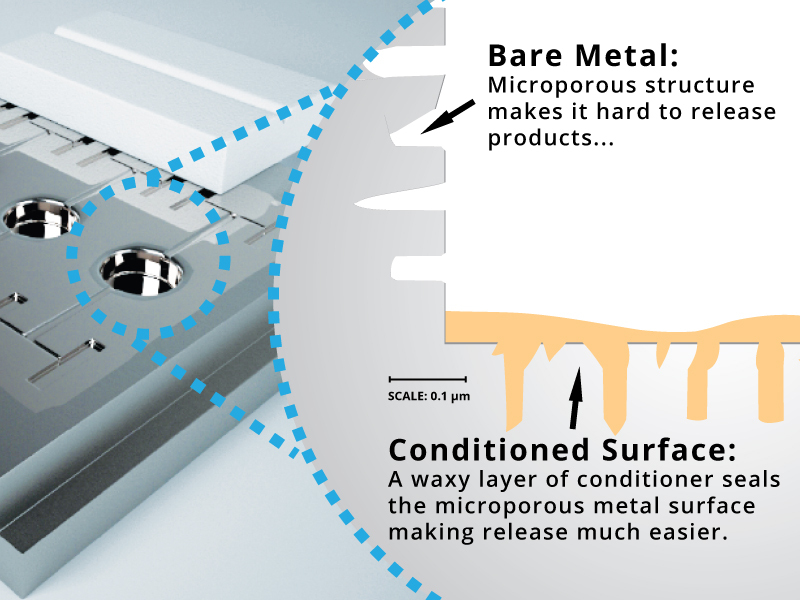 On a microscopic level every surface has microporosity, and so even when it come to the glossy metal surface of a mold die, there are 100’s and 1000’s if micro-pores on which dirt and contaminants can latch on to. However, when using Epoxy Molding Compound (EMC) a thoroughly clean mold die surface is essential for the semiconductor and LED encapsulation molding process. 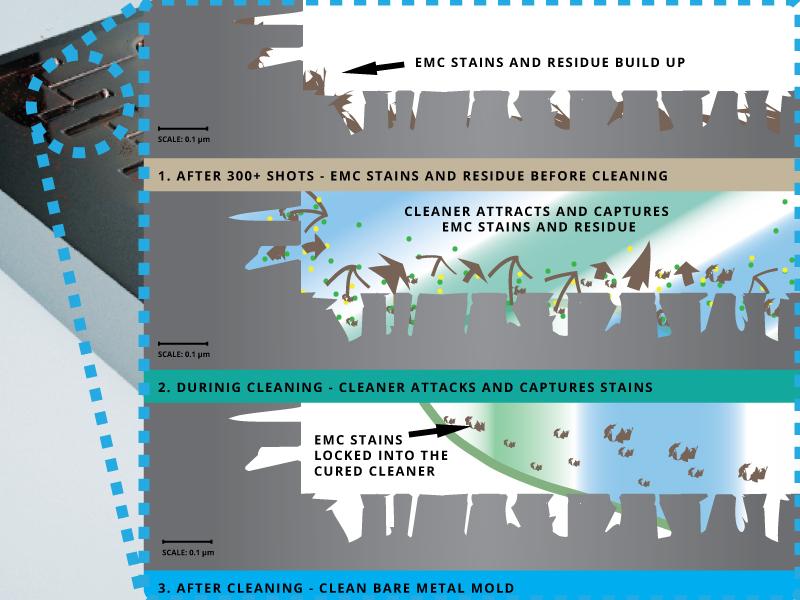 Our CHEMLINQ semiconductor mold cleaners are specially designed to attack Epoxy Molding Compound residues and stains on the micron level and thoroughly clean the microporous surfaces of your thermoset and thermoplastic molding equipment. Click here to find out more about our Semiconductor and LED mold cleaning products. CHEMLINQ Mold Sealers and Conditioners. Especially after cleaning your mold with melamine cleaning compound the microscopic roughness and microporosity of the bare metal surface are exposed which makes it difficult to release your product from the mold, and also lowers the quality of the surface of your finished product. 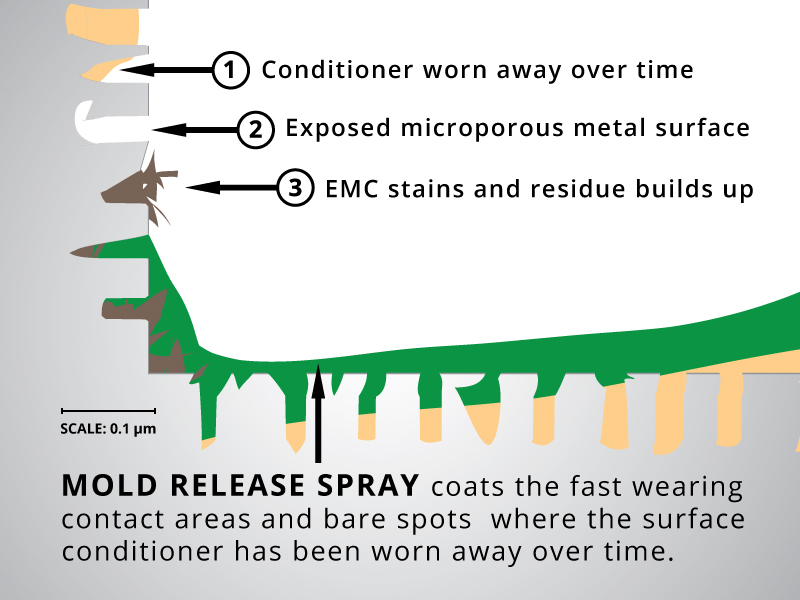 Even the effectiveness of a mold release spray depends on how well the mold’s surface has been conditioned or sealed. CHEMLINQ mold conditioners can help increase quality, productivity, and increase the lifespan of your equipment by sealing the microporous surface of your mold. Click here to find out more about Mold conditioning products. The mold conditioner is eroded away, little by little, after each shot, so over time the microporous structure of the mold’s metal surface becomes exposed. When this happens Epoxy Molding Compound will start staining the mold surface and the finished product will become harder to release from the cavity: lowering final product quality and production speed. Mold release agents and sprays can deliver higher productivity and lower scrap rates by forming a protective layer over exposed bare metal surfaces. They are essential if your product is complicated, multi-part, or has low green strength. Mold release also helps improve final product quality: giving your products an improved gloss finish. A spray is also the perfect form for application during production and between shots. To find out more about our CHEMLINQ mold release agents and sprays click here. CAPLINQ offers excellent alternatives to MJ Gordon #909C carnauba wax spray. Check out and compare the alternatives for aerosol mold release spray. 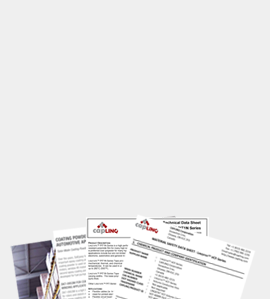 CAPLINQ offers a wealth of Technical Papers, Marketing Brochures, Technical Data Sheets and SDS covering our Epoxy Mold Cleaning and Conditioning Products. 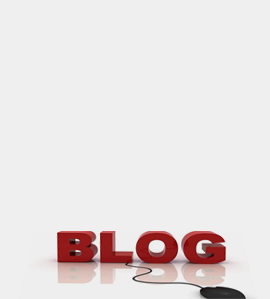 We try to post as much information as we can on our blogs, to help you find more relevant information about how to clean, condition and otherwise maintain your epoxy mold compound molds. CAPLINQ offers a range of rubber cleaning sheets that leave enough wax to properly condition the molds.